With time, your online business has expanded significantly. Your current e-commerce platform is too expensive in maintenance. You might need more advanced and reliable features, but your current platform does not provide the necessary options. Whatever the reason, if you're considering Magento 2 migration, this article will explain the details of this process. Online shop migration is one of the services we provide to our clients. Recently a clothing store owner hired us to migrate his custom-made online shop to Magento 2 platform because the current custom platform was too costly in maintenance. Moreover, it took too long to make any changes on the website and add new features. The client chose Magento 2 platform because it offers a user-friendly customer journey, the checkout process optimized with OneStepCheckout plugin, a convenient admin panel, where an admin can easily manage a product catalog and product filters. Magento 2 has tons of other advantages such as a big developer community, advanced functionality, tons of ready-made modules and plug-ins and the ability to scalabile easily. Let us look at Magento 2 advantages in details. Thanks to the open-source nature, Magento 2 is very popular among e-commerce developers. Currently, Magento community counts over 360,000 members who can help you to solve issues with your online store. In the Magento Community forums, you can find all the answers to the most popular questions from the platform users. If your business needs custom-made extensions, it would be easy to find a qualified specialist. Promotion and Pricing. Magento 2 allows users to set promotional pricing for specific customer segments or products. Moreover, with this platform, retailers can create coupons for specific customer segments, time period or product categories. Another useful feature allows sending automated reminders to customers, who abandon their shopping carts and wish lists. Search Engine Optimization. Magento 2 has advanced SEO features that will help your online store in achieving high ranking in search engines. They include automatically generated Google sitemap and search-friendly URLs. Site and Content Management. Magento 2 users have a total control over the admin panel. They can customize and save different Admin panel views to manage daily tasks even more efficiently. In addition, the platform allows defining multiple roles and permissions to control access to administrative features. Checkout. With Magento 2, your customers can see shipping estimation and tax right in the checkout. They can also enjoy guest checkout out of the box feature. Application Architecture and Security. E-commerce website security is vital for building trust with your customers. Magento 2 uses strong data encryption based on AES-256 and hashing based on SHA-256. Using leverage sample code, users can quickly create an Apple iOS 8+ app using Magento 2.0 APIs. You can find the full list of Magento 2 features here. If your business needs something more than basic Magento 2 features, you can easily integrate necessary third-party software to your online store. Magento web APIs allow you to connect your e-commerce website with advanced payment methods, marketing capabilities and merchandising solutions. Currently, the platform supports Accounting, Enterprise Resource Planning (ERP), Customer Relationship Management (CRM), Product Information Management (PIM), and marketing automation systems out of the box. In most cases, our clients need e-commerce third-party integrations with CRM like 1C, mailing services or shipping providers. Our recent experience in third-party integrations to Magento 2 included adding advanced email marketing features provided by MailChimp to the Goddess website. Initially, Goddess needed a solution, that will inform customers about the current news and remind that they have abandoned their shopping carts. Now, this online store with beauty products is powered with all the required features. Another case from our experience is Nova Poshta shipping provider integration to a Magento 2 store for an online electronics store Nofelet. The company decided to provide customers with the ability to choose the nearest Nova Poshta office for the order delivery. This way, Nofelet customers can receive orders in a more convenient way. Are you ready to bring your online business to a new level? If yes, continue reading because in the next paragraph we describe all the preparations required before the migration process. 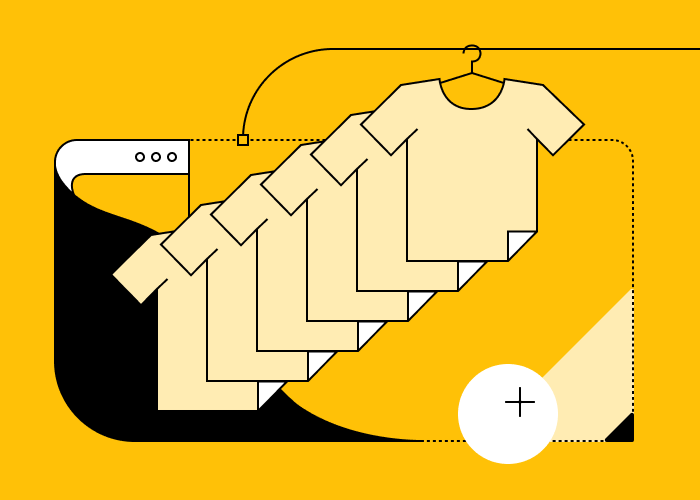 As an e-commerce team, we can say each case of e-commerce migration is special. Before the platform switching, we receive all the information from the customer about the data they want to migrate and to what extent they want to customize their future online shop. In most cases, we transfer such data as products, orders, customer’ data, and third-party integrations. To avoid misunderstanding, we also ask customers whether they want to keep the current e-commerce design, or they want to use a new template for Magento 2 platform, or even need a completely custom design implementation. If you are ready for the e-commerce migration, we advise you and your future development team to create a checklist with the features you want to add to your online store after the platform switching. Data. Your future Magento 2 online store should have a customer and merchant data, product details, orders and other data stored in your current online store. Extensions. You and your team should analyze whether it is possible to migrate existing extensions to your future online store. If not, your team could search for the extensions with the same functionality for Magento 2 platform at the marketplace. Themes. Your e-commerce team could replicate your current e-commerce design on Magento 2 platform or you can choose the most suitable template at the Magento marketplace. Customization. For this step, you and your e-commerce team should decide whether your business needs custom features or module development for Magento 2. 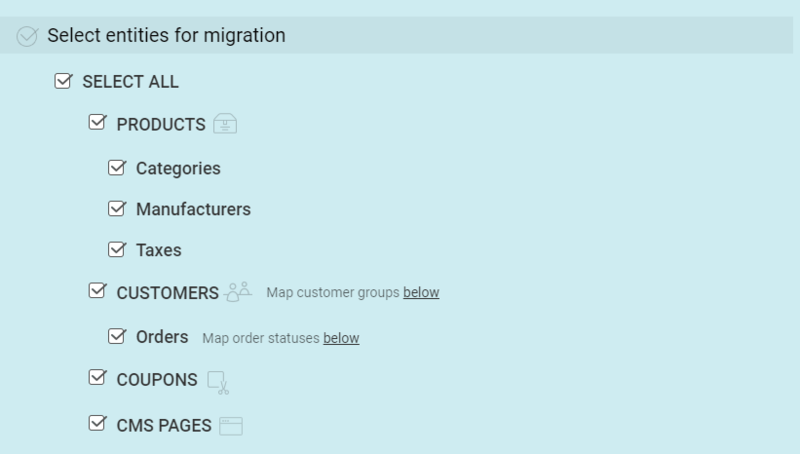 When you and your e-commerce team are ready with the migration plan, you should set the timeline for each part of the data migration, depending on their workload and priorities. 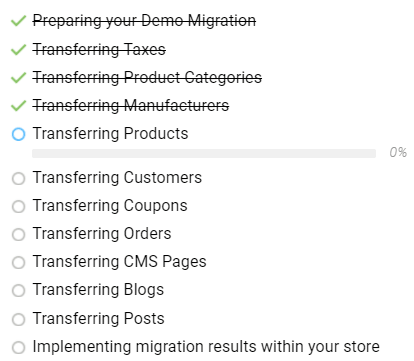 You should also remember that the complexity of migration depends on the level of your future Magento 2 store customization. The lower the customization of your e-commerce website, the easiest it will be for your team to switch to another platform. With this in mind, let us dive into the common Magento migration steps that are similar for all e-commerce platforms. Preparation. Plan the migration process with your team as described above, set the milestones and timelines. Data Backup. The team should make a copy of all your data, such as product details, product categories, customers, their passwords, orders, reviews, and others. Design Customization. On this stage, the team reproduces the store environment on the new platform or creates\buys a new design. Product Migration. Now, it is time to transfer the products to the new platform. This process includes the migration of product specifications (name and details of every product you sell), attributes, and all the elements of a product page, such as buttons and checkboxes. Migrating Customer Data. This is when your team transfers customer name, passwords, contact numbers, and shipping addresses. They can also migrate history data from your website to the new platform. Merchant Data Migration. This is the most important step for your business since the team moves the products and customer data that concern orders to the new platform. URLs Migration. This step is necessary for the successful migration process. The team migrates the products and category URLs and saves the old URLs in your new Magento store. Payment Gateways. To get your Magento 2 online store up and running, the team copies all the API keys, secret key, and API signature. Functionality Transfer. Depending on your business needs, you can replicate the features of your old online store to the new Magento 2 store or hire the team for custom feature development. If the migration was done successfully, you receive an online store on Magento 2 platform that has all the information about your products, customer data, and payment gateway, so you can continue trading online immediately. Now let us see, why Magento 2 is better than other e-commerce platforms currently present on the market. Below we tell you how Magento 2 differs from the most popular e-commerce platforms such as WooCommerce, BigCommerce, OpenCart, and Shopify. If your online store is currently running on one of the listed platforms, this part of the article will give you a clear idea on how Magento 2 is better and what you will receive instead of the current solution. If you are running an online store on this WordPress plugin, you might probably know about its drawbacks. The most common concerns of WooCommerce users are connected with the website security, limited amount of space on the shared hosting and too slow website loading speed. Let’s look at Magento 2 advantages over this platform so you could compare and decide what would be better for your business. The website security is very important for every successful online store. Unlike WooCommerce, Magento 2 offers advanced security features. It offers dedicated patches to prevent any vulnerabilities that arise. Another common concerns of WooCommerce users is connected with the limited amount of space on the shared hosting that results in slow loading speed of the online store. This way, a WooCommerce users are unable to run large stores and handle huge traffic. Magento 2 is the best platform for online shop scaling and handling large stores. Moreover, it has increased browsing speed for reaching out to more customers. You can choose the hosting for your website and add as many product as your business needs. WooCommerce checkout consists of five steps, which is not very convenient to online shoppers. At the same time, Magento 2 has much shorter checkout process that allows your customers to enjoy a convenient shopping experience. Moreover, Magento 2 has turned on guest checkout by default. 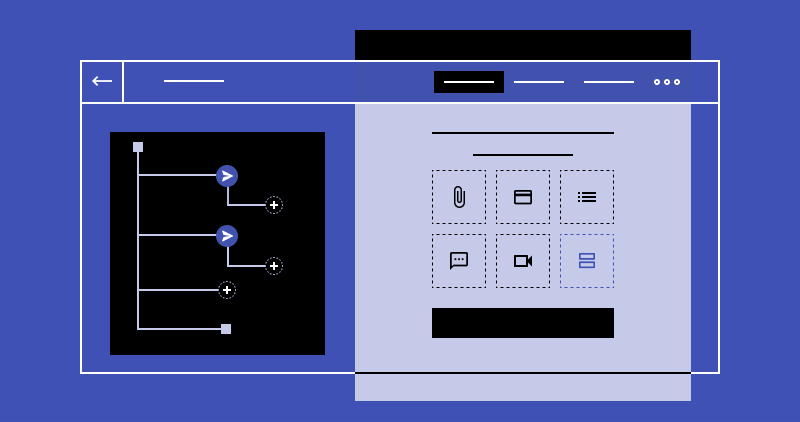 To provide customers with convenient payment options, WooCommerce users need to integrate additional plug-ins, such as Stripe. Magento 2 is integrated with PayPal, Authorize.Net, and Braintree out of the box. BigCommerce could work great for a small business. But if you decide to expand our online store, this platform will limit your possibilities. It has a small number of extensions , limited space on the shared hosting, and lacks advanced inventory management features. Below you can see how Magento is better than BigCommerce. When it comes to extensions and plugins, BigCommerce users have a limited space, since the platform offers only 60 extensions to its users. At the same time, Magento 2, known as the platform with unlimited customization possibilities, provides more than 15,000 add-ons and extensions to enrich your online shop feature list. In case you are a BigCommerce user, can choose from 45 paid and 16 free themes. Here Magento 2 also wins. This open-source platform has tons of free and paid themes with responsive design to choose from. 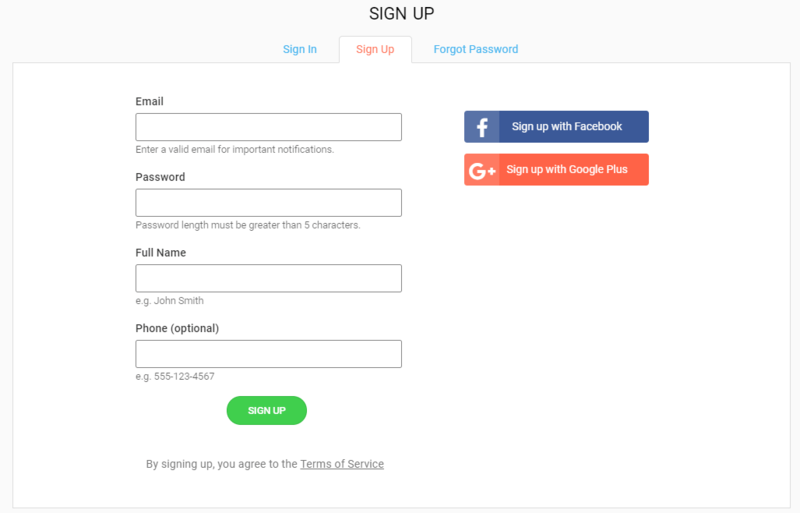 BigCommerce users pay for shared hosting provided by the platform. This way, you can run big online stores and handle large traffic. But for a Magento 2 store, you are free to choose any hosting provider you like. Nevertheless, remember that the hosting provider has a direct impact on the optimization and performance of your Magento 2 store. BigCommerce provides users with limited amount of inventory management and reporting features. But if you are looking for expanded features and APIs for Inventory Management, you may find all the necessary functions with Magento 2 platform. This platform allows showing the number of products that are currently available on stock. In addition, Magento can offer users auto-forecast the stock. With this advanced stock report, you to see the quantity and value of all of your products / stock quickly and easily. Moreover, the extension generate a forecast on the basis of previous sales. This way, you get insights in you optimal stock, stock value and populair products. OpenCart is a good platform for a small business. However, if you are looking for a powerful solution that could handle high traffic and run a bigger online store, Magento 2 is here to help. This platform also allows adding a limitless amount of products to your product catalog, which is also important for developing businesses. OpenCart has a set of basic e-commerce features that suit the needs of a small business. But if you need something more advanced, you have no choice but to buy extensions. Unlike OpenCart, Magento 2 has many built-in features out of the box. For instance, it allows sending notifications to your clients and informing them about their order status. Other useful features Magento 2 provides online merchants are checking order statistics and sales analytics. Such data will help you understand what products are more popular among your customers and control inventory supply. While OpenCart offers a limited amount of ready-made templates and features, Magento 2 is more complicated in terms of design implementation. Still, Magento 2 platform allows adding customized features or changing a ready theme according to your preference and business needs. If you are looking for the answers on how to migrate OpenCart to Magento, we are here to help. If your online store is currently running on the Shopify platform, you have probably faced with online store catalog expanding issues. Shopify limits users in adding products to the catalog according to the plan they choose. You can solve this issue with Shopify to Magento migration since Magento provides users with an opportunity to expand their product catalog. Shopify is a SaaS solution developed for small online stores with limited space for customization. Magento 2 is an open-source platform and has numerous advantages over Shopify. In addition to a better shopping experience with built-in guest checkout, Magento also provides online retailers with high online shop customization. Other notable advantages of Magento 2 over Shopify are discounts and coupon codes. With these out-of-the-box Magento 2 features, you can increase customer loyalty and retention. Shopify allows users to add only one configuration of their products without specifying the size and color. Magento 2 has more advanced products management features. Unlike Shopify, Magento users can also add product sizes and colors. In addition, the platform supports many third-party services for integrating a broader distribution network. Now you know about Magento 2 advantages over the most popular e-commerce platforms. Are you ready to migrate your online store? Great! Below we share tips on e-commerce migration automation tools. With these tools you can try to perform the migration by yourself. There are two most popular tools that help you automate the e-commerce migration process. They are LitExtension and Cart2Cart. Below we describe what kind of data you can migrate with these tools and the automated migration process. LitExtension will keep all products, customers, orders, categories and other data as well as well relations among them safe during and after migration. You can easily use LitEctension for Magento 2 migration because this is a user-friendly product. This tool will automatically move the widest range of data, including products, customers, orders and a great variety of other entities to your brand-new Magento 2 online store. The migration procedure is very simple and requires no programming or tech skills. First of all, you need to input URLs of both the current online store and Magento 2 online store. Then, you need to choose the entities you`re willing to migrate and perform a full-scale Magento 2 migration. URL, Meta Title, Meta Description. Variants (SKU, Weight, Attributes, Quantity, Price, Special Price). Order Date, Order Status, Order Products ( Name, SKU, Option ), Product Price, Quantity, SubTotal Price, Discount Price, Shipping Price, Total Price, Order Comments. Since these tools are very similar, they have very simple and common migration process described below. This is all! 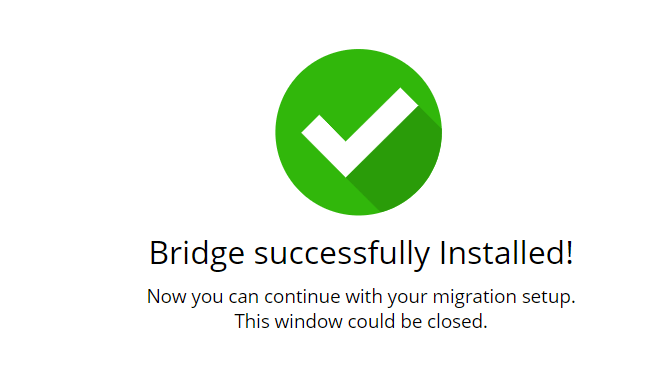 Your migration is done successfully! We recommend using these automation tools for the migration process since they eliminate manual data input that often results in mistakes and migration failure. You can use them if you think you can migrate Magento website without external help. Still, our strong advice is to hire the team of developers who can migrate your data, test your Magento 2 online store, and ensure that everything is running correctly. 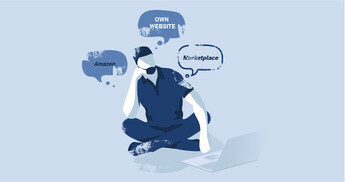 Hire a Magento development partner or do it by myself? Despite we have described the common steps of the migration process for most popular e-commerce platforms, e-commerce migration is a very individual process. Based on our experience we can say that the process could be different even for e-commerce websites built on the same platform. Why? Because every business is unique and has different requirements to migration and the future online shop functionality. There are different levels of online shop customization and the number of items in the product catalog. That is why we recommend hiring a development team like Dinarys to avoid mistakes during e-commerce migration. If you are ready to migrate your current online store to Magento 2 platform, fill in the contact form and we will get in touch as soon as possible.